One of the great joys in life is laughter, and when it comes to consumers on social media, 71% said it is one of the reasons they watch videos. The 2018 Sprout Social Index report surveyed consumers and marketers to determine where in the funnel social marketing effort must be targeted. It is critically important to define this target because social media is no longer an optional marketing channel. 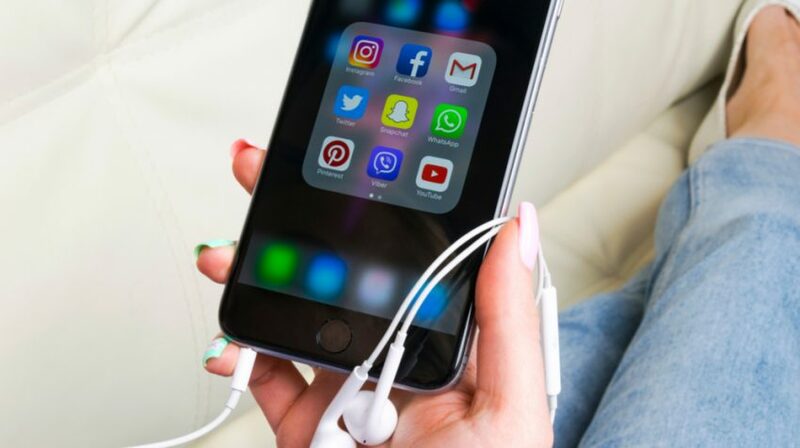 For small businesses, mastering social marketing is even more relevant because it is an easy and affordable way to reach your target audience. Whether you do your own social media marketing or hire professionals, today’s digital ecosystem allows you to extend your reach with few limitations. When addressing how organizations must approach social marketing, the Social Sprout report says social media is a personal platform. 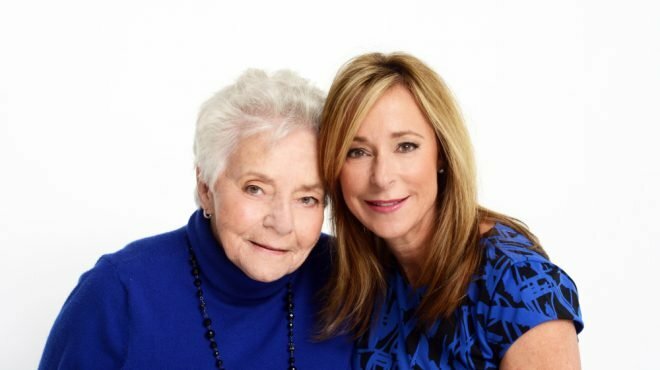 One of the primary reasons people spend time on social media is to interact with family and friends. And this has to be taken into account when a marketing campaign is being developed. The Sprout Social Index resulted from a survey of 1,253 consumers and 2,060 marketers. The consumer survey was conducted by Survata online between April 12, 2018, and May 1, 2018. The survey for marketers was conducted via email by Google Forms, between April 4, 2018, and May 1, 2018. 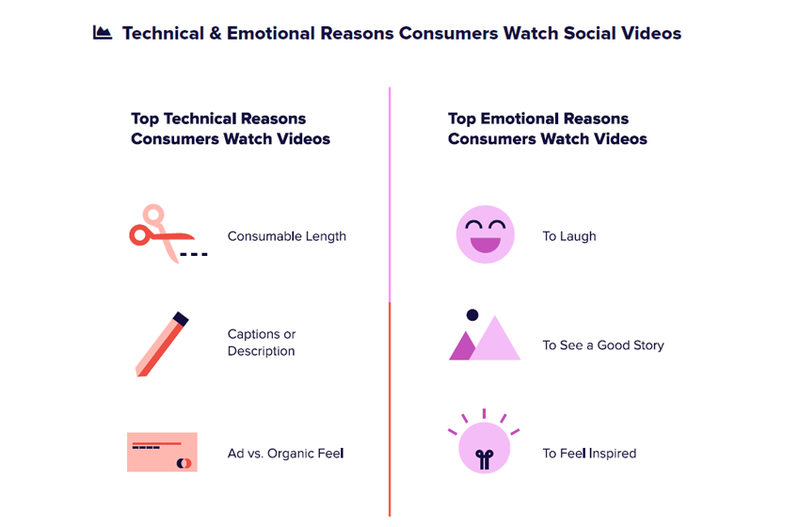 As for what consumers are looking for when watching social videos, laughter was number one at 71% followed by a good story at 59% and inspiration at 51%. As for the technical reasons consumers choose to watch a video, factors include the contents consumable length, captions or description, and ad vs. organic feel. If you want people to watch your videos the most common watch time should be 1-2 minutes and the preferred platforms are YouTube at 49% and Facebook at 40%. 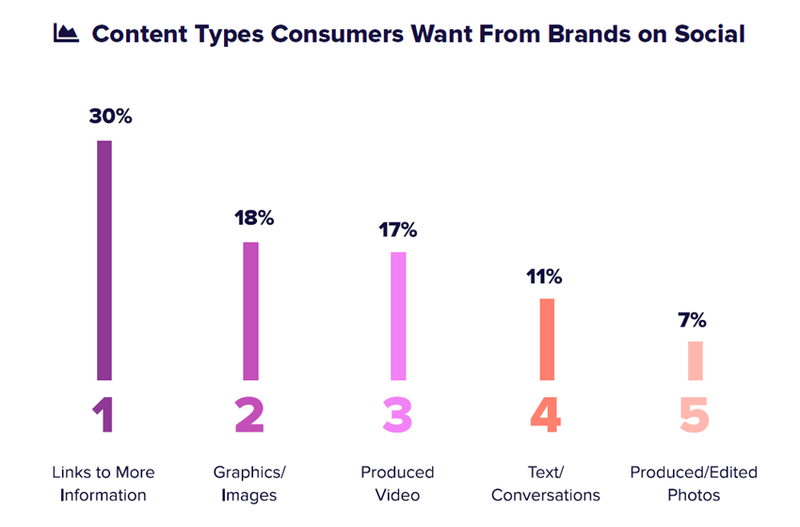 With sharing being one of the goals of social marketing, the majority of consumers or 74% said they share branded content. But in order to share this content, it has to be entertaining, inspiring or convey knowledge to friends. The clear leader in this department is Facebook. 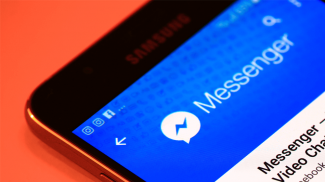 Almost all or an overwhelming 97% of social marketers said Facebook was the social network they use most. The second platform is also a brand owned by Facebook. Instagram is used by 83% of marketers compared to only 13% who use Snapchat. But the gap is closer when it comes to consumers, with 51% using Instagram and 30% using Snapchat. 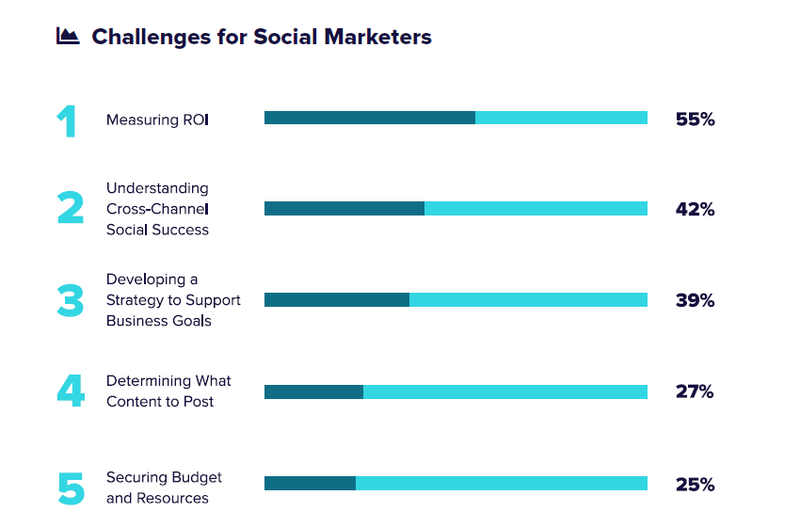 According to the report, the top three challenge for social marketers include measuring ROI at 55%, understanding cross-channel social success at 42%, and developing a strategy to support business goals at 39%. Determining what content to post, and securing budget and resources came in at numbers four and five at 27% and 25% respectively. 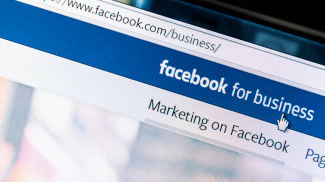 Sprout Social concluded the report by stating how social media has become a channel for marketing in 2018. However, a new evolution has begun where marketers have to redefine success and realign with what consumers want to fulfill their mission on social media. Sprout Social says it hopes businesses use the survey, report and analysis to make decisions leading to real changes while choosing and deploying consumer-focused content strategy. This goes for businesses of all sizes with a social media presence, the company says. You can download the 2018 Sprout Social Index report here. Thats a really interesting news. Social Media sites are now becoming a part of people lives and it has been used in various means and purposes. Thanks for sharing these reports. Why shouldn’t that be the reason? People watch videos primarily to entertain themselves so I guess it is not that suprising. And laughing is one good way to get entertained.